Remember 'The Avengers Project', that new game coming from the Tomb Raider studio that Square Enix announced in January 2017? It just got an infusion of promising talent from around the industry, including a former Naughty Dog leader who was creative director of Uncharted: The Lost Legacy just last year. 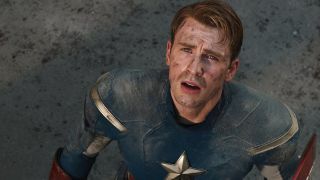 A supergroup of developers building a game about a supergroup of heroes feels right, but it does come with one slightly sour note: it shows that The Avengers Project is still a long way out. How do I know that? I mean, the game had a teaser trailer a year ago - it's got to be at least getting there? Well, no, not if it just hired a creative director, and Square Enix confirmed that Naughty Dog's Shaun Escayg will occupy the same role on The Avengers Project as he did on The Lost Legacy. Creative directors are ultimately responsible for much of the stuff players care about: the way the game plays, its aesthetics and story, that sort of thing. They're a pretty big deal. Here's Escayg announcing his departure from Naughty Dog earlier this month. Also among the 15 "top industry talent" hires Square Enix announced was Stephen Barry, former director of product development at Visceral Games (RIP). Barry is now director of production on The Avengers Project, which is an equally big deal. Filling these two pivotal roles now is a strong indicator that the game is quite early in development. It may have some promising concepts and systems picked out (including an unexpected reference to third-person, cover-based action spotted last year), but I'd be surprised if the project is any further along than that. At least that means we'll probably know whatever the actual title for Avengers 4 is by the time this game comes out.